Hey Curvies! Today it's going to be all about beauty. 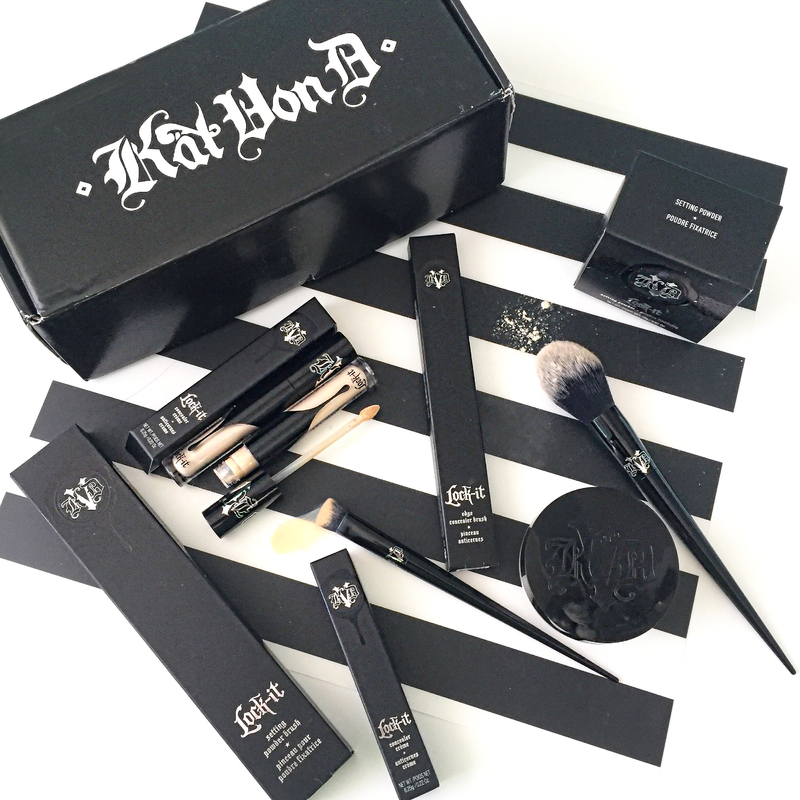 A few weeks ago Influenster sent me a box full of Kat Von D beauty new Lock it Revolution Collection. Influenster is a great site to read on if you want to search on a beauty product before you buy it. Influenster also has a program for social media influencers where they send out products for FREE to try out and review. I totally recommend for you to sign up and start getting free products. 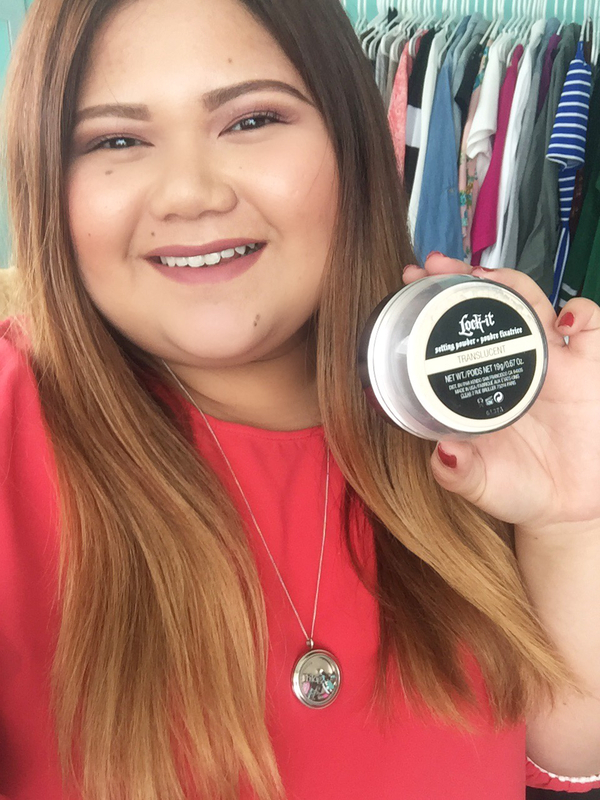 I was able to try out 2 shades of the Lock it Concealer Warm and Neutral both worked out great for my under eyes, totally full coverage and great for highlighting. Along with the concealer I used the Lock it edge concealer brush, both perfectly worked out together but to be honest if you own a beauty blender, I don't see the need to invest on the concealer brush. I also tried out the Kat Von D Lock it Setting Powder in Translucent. I have a very oily face and this powder kept me matte for like 8 hours under Vegas heat. I'm all for it, it works best to set and bake. 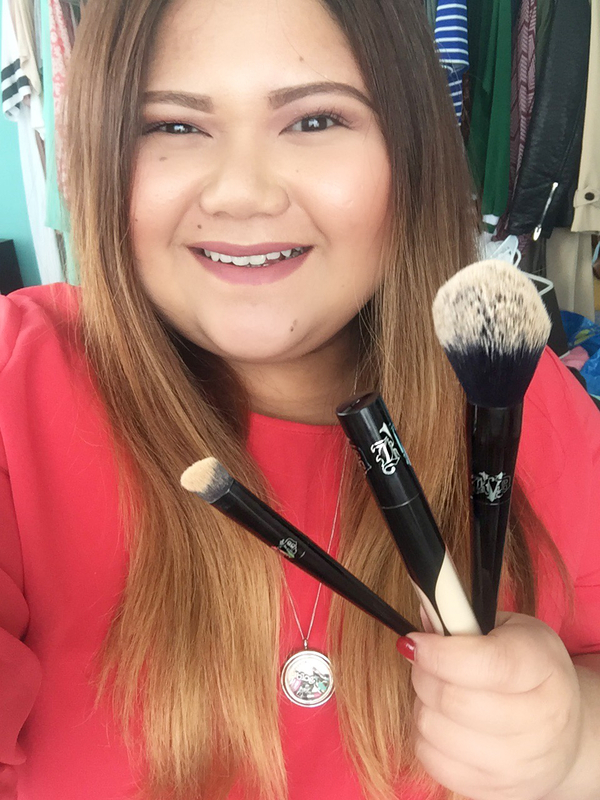 The Lock it Setting Powder Brush is you guys a total game changer. It is seriously the softest brush that I've ever used. Softer than Sigma or Luxie brushes. The powder and the brush together I would say are worth it to invest in coz you really get the value of what you paying for.